After the end of World War II, families began leaving urban areas to build homes in “the country.” The open space and inexpensive land made home ownership attractive and affordable. The rural landscape surrounding Chicago began to transition from farmland to housing developments. 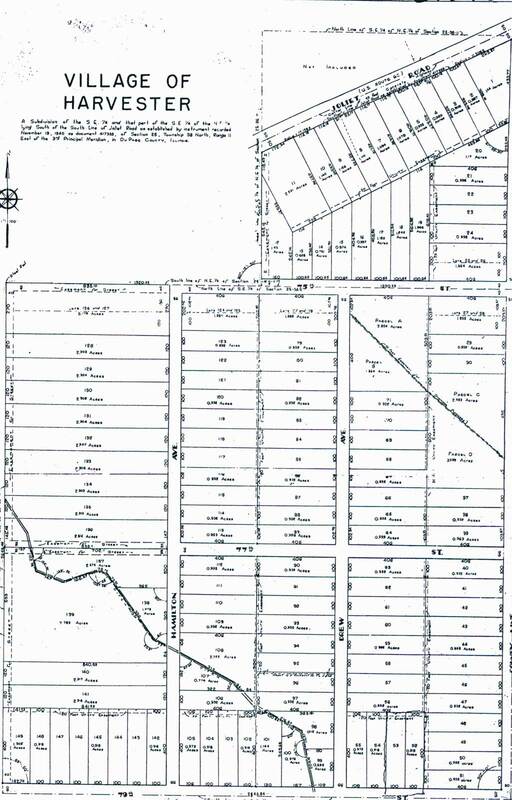 Land developer Robert Bartlett purchased the 280 acre Charles Mihm farm in DuPage County, divided it into one to two acre lots, and in 1947 began selling the lots as part of Hinsdale Countryside Estates. 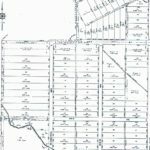 The subdivision was approximately one square mile bordered on the north by U.S. Route 66, 79th Street on the south, County Line Road on the east, and the Emil Denemark farm on the west. [Harrison, Jackie. “Incorporation allows area control.” The Doings 24 September 1981, page 4]. Although residents of Hinsdale Countryside Estates enjoyed the open space and rural atmosphere, the dirt roads churned up dust and rains turned the roads into mud. At night it was almost impossible to find the County Line Road turnoff on old Route 66 as there was no street light. These problems as well as International Harvester’s decision to build a large research center nearby prompted Harry Whittaker, president of the Hinsdale Countryside Estate’s homeowners’ association, to spearhead a movement to incorporate. Homeowners voted for incorporation on October 30, 1956, in a garage on Drew Avenue. Resident Al Henry proposed naming the village, Harvester, as a nod to the nearby 414 acre International Harvester experimental farm site. When the Village of Harvester incorporated it consisted of 80 homes with a population of around 278. Harry Whittaker served as mayor from 1957 to 1965. [Doings, page 5; Haldane, Neal “Burr Ridge first mayor recalls formation of village” Suburban Life, 2 September 1981; “Harvester, New Village, Picks Leaders” Chicago Daily Tribune. 27 December 1956, page W2]. Homeowners from Burr Ridge Estates and Woodview Estates then approached the Village of Harvester about annexation. Representatives from International Harvester also joined the negotiations. Before the annexation could proceed, the Village of Harvester had to agree to Burr Ridge Estates’ and International Harvester’s requests to change its name. International Harvester wanted to change the name of Harvester to avoid the connotation of the village being seen as a company town, and residents also petitioned for a name change. [Suburban Life; Doings, page 5]. 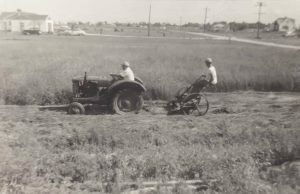 In August 1961, the Village of Harvester annexed the International Harvester Farm and agreed to change its name to Burr Ridge. A lawsuit filed by the Village of Willowbrook held up the annexation of Burr Ridge Estates. On October 25, 1962, the Cook County Court approved the annexation, and officially changed the village’s name from Harvester to Burr Ridge. [Doings, page 5; McCullough, page 8]. According to the village website as well as a Doings article, the name Burr Ridge originates from the bur oak trees near County Line and Plainfield Roads originally located on the Busby farm which later became Burr Ridge Estates. [Koz, Roy “From a pig farm to a prestigious address” 25 July 2002, page 7]. Burr Ridge continued the Village of Harvester’s commitment to maintain large lots for housing and to preserve open space. 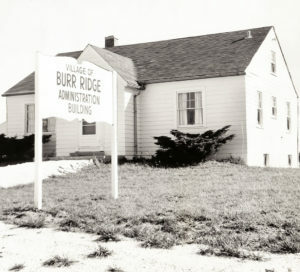 In 1963, Burr Ridge annexed the Four Pines Dairy Farm and began construction of Carriage Way, a planned development, which included homes, apartments, and the Tower Industrial Park (now Burr Ridge Industrial Park). [1998 Calendar and Annual Report, Village of Burr Ridge, page 4; Doings, page 5]. The village expanded south with the annexation of 143 acres of the Ruthie Farm which had been acquired by the Tameling family. In 1971, the Braemoor subdivision was built on this property. The American Growth Development Corps purchased the Chicagoland Council of Boy Scouts of America’s Training Center in 1971 for the construction of the Burr Ridge Club which was completed in 1972. The Boy Scouts had purchased the property in 1949 from Luther Rogers, a wealthy Chicago businessman. The property contained a wide variety of trees and plants specially designed for the Rogers’ estate by a Parisian landscape architect. [McCullough, page 8; Doings, page 5] The village established the Burr Ridge Industrial Commons in 1973 on what had been the Denemark farm (79th Street and South Frontage Road). [1998 Burr Ridge Annual Report, page 4].